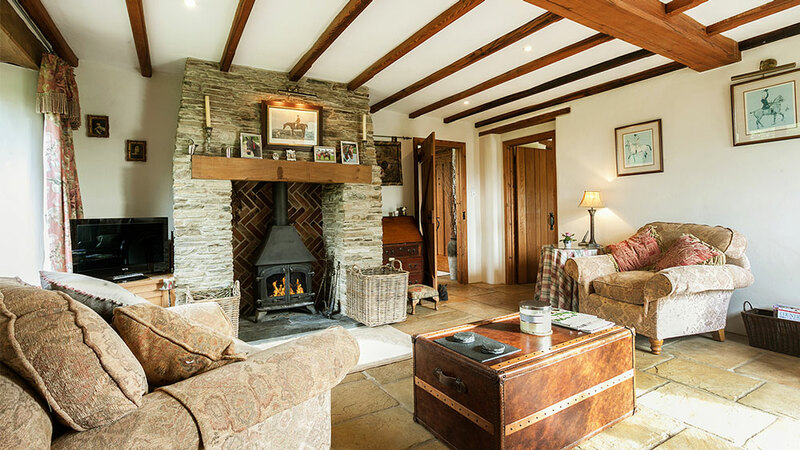 Inviting and toasty fireplaces, comfy, deep sofas to snuggle into after your days out exploring, and soft beds to slumber upon, just some of the homely features you can expect when you book a Toad Hall Cottage this winter. Surrounded by three glorious acres of private grounds and set in a tranquil valley on the outskirts of the historic South Hams market town of Kingsbridge, Auton Court remains one of Toad Hall Cottage’s most popular holiday locations. This magnificent stone farmhouse can accommodate up to nine guests and is full of characterful touches, not least the welcome hamper you’ll receive upon your arrival that’s packed with local goodies. This impressive farmhouse is the perfect place to relax and unwind with rolling hills, ancient woodlands and tranquil riverbanks right at your doorstep. Tucked away in the beautiful New Forest, where the nights are quiet and starry, lies Apple Cottage. This cosy cottage comfortably sleeps up to six guests and provides the ideal base from which to branch out and explore the rest of this historic and beguiling county. Snuggle down in the Button & Sprung handmade beds to wake up fresh as a daisy and ready for your next New Forest adventure. Nestled into the rolling East Devonshire countryside is Blackdown Views. This stylish six bed, with its stunning views of the surrounding Blackdown Hills, is also one of Toad Hall Cottages’ growing number of ‘Eco-houses’. Features include; an immaculate decked terrace, a hot tub, a superb open-plan dining arrangement and a ‘Jack & Jill’ style wet room that’s also suitable for wheelchair users. Here you can enjoy the peace and quiet of one of the region’s most spectacular areas of outstanding natural beauty and embrace your right to roam. Blackdown Views is also one of our many dog-friendly holiday cottages. 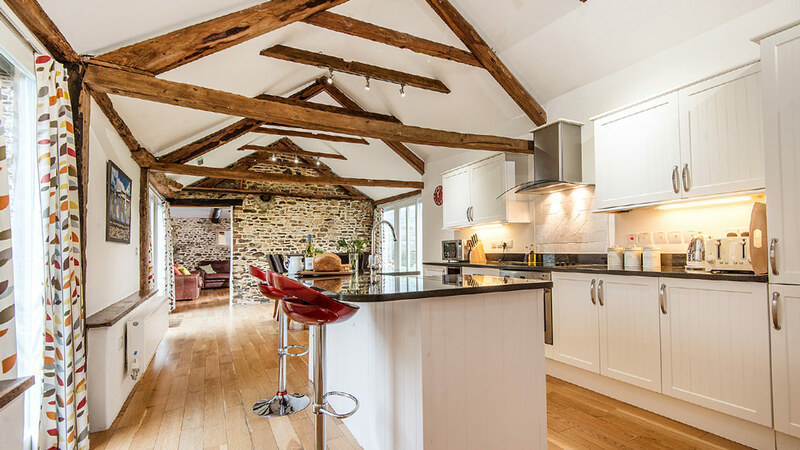 Comfort Wood Cottage is an exquisite barn conversion, surrounded by woodland walks that weave around the historic grounds of Cotehele House – an ancestral Tudor mansion perched high above the banks of the River Tamar. 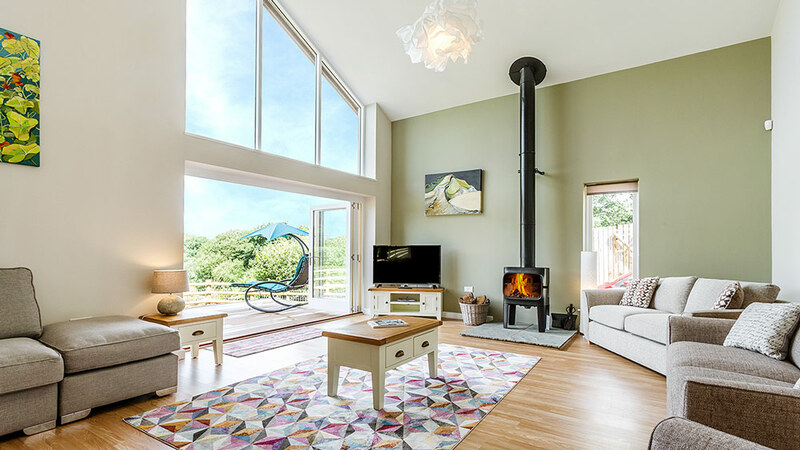 This spacious yet cosy Cornish cottage can sleep up to seven guests, making it ideal for a family break and the perfect location from which to get out and explore the rest of this delightful corner of the South West. What’s more, the cottage shares its rural setting with a small working farm whose residents include sheep, horses and Cornish black honey bees. This really is the countryside idyll! May’s Cottage looks out onto the sparkling waters of Start Bay, one in a row of delightful fisherman’s cottages that stand along the seafront in the South Hams village of Beesands. Here, you can enjoy endless walks along the South West Coast Path and discover the region’s many beautiful beaches and secret coves, as well as its characterful seaside villages and bustling market towns. This cosy hideaway is full of charming features and has been immaculately furnished throughout. It’s no wonder so many of our guests can’t wait to return there. Set on the awesome Heritage Coast on the fringes of the historic maritime town of Lyme Regis is Linhay Cottage. This gorgeous house has been stylishly designed and boasts an array of eye-catching features, including a mezzanine level with cosy twin beds. Snuggle up round the woodburner after your winter walks, keeping warm and toasty in the impressive vaulted living room with its rustic timber beams and trusses. Discover the popular Dorset seaside town of Lyme Regis, full of artisan shops, friendly pubs and award-winning seafood restaurants, and famous for its fossil beaches. Folded into the lush, rolling foothills of Exmoor is one of Toad Hall’s prettiest boltholes. Anna’s Cottage provides a lovely setting for a couple’s retreat, surrounded by mile upon mile of magnificent countryside full of woodland paths, green lanes and leafy holloways. From its rose-weaved façade to its lovely old stone fireplace, this is every inch the traditional country cottage dwelling. Not far is the historic charter town of Bampton, adored for its old, winding streets, floral displays, markets and fairs. If you’re feeling adventurous, wrap up warm and head for the breathtaking uplands of Exmoor, one of the West Country’s most cherished wild places and the inspiration for writers and artists down the centuries. Offerd Cottage can be found nestled on the wooded slopes of the Looe Valley. This tasteful conversion was once part of a larger coach house and stables, and has retained much of this rustic charm. Following a lovely river walk, you’ll find the famous port town of Looe close by, along with the adorable fishing village of Polperro, both of them linked by the undulating South West Coast Path that will have you captivated at every stile and waymark. The cottage itself is as cosy as they come, and can sleep up to five guests, making it the perfect Cornish setting for your winter family break. It’s also another one of our dog-friendly cottages, so your waggy-tailed chum needn’t miss out on all the fun! Drop those winter blues and head for the West Country for a cosy cottage holiday. Toad Hall Cottages has got hundreds of boltholes and hideaways for you and your loved ones to hunker down in after your days spent exploring the South West’s glorious countryside and dramatic coast.